If you plan on living and working in Phuket’s commercial centre, then you may be looking for more information about Phuket Town itself. A comfortable distance from the more frenetic nightlife spots of Patong, Kata and Karon, Phuket Town is a calm, relaxed place to live. Still very much a ‘Thai’ area, Phuket Town also has all the modern amenities you’ll need. The PhuketSpace Phuket Town apartments are just five minutes from Central Festival, the biggest shopping mall on the island, and ten minutes from Tesco Lotus and Big C.
Phuket Town is also oozing with history. 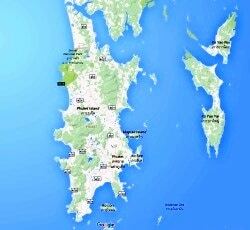 Centuries before the island of Phuket began attracting sand-and-sea tourists, it was an important centre for Arab, Indian, Malay, Chinese and Portuguese traders who came to exchange goods for tin and rubber with the rest of the world. Francis Light, the British colonialist who made nearby Penang (in Malaysia) the first of the British Straits Settlements, married a native of Phuket and tried unsuccessfully to pull the island into the colonial fold. He didn’t succeed! 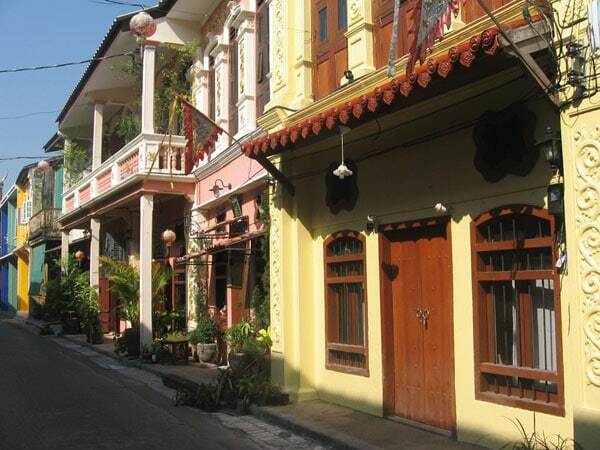 Although much of the original multicultural heritage has now disappeared from much of the island, many remnants can be seen and experienced in the province’s capital of Phuket Town. Evocative traces of Sino-Portuguese architecture remain and the city streets, which move to the rhythm of everyday Thai life, feel a long way from the prefabricated hubbub of Patong. For a glimpse of the Phuket behind the westerner-filled tourist traps, bars and beaches, Phuket Town is an ideal place to live. Getting about Phuket Town is easier than many parts of the island, with a number of local bus services plus plenty of inexpensive motor bike taxis. If you’re looking for an apartment in Phuket town, then PhuketSpace may have exactly what you need. PhuketSpace has several apartments in Phuket Town, both studios and with two bedrooms. The Phuket Town apartments are located in a quiet area on the southern edge of the town. Our studio apartments in Phuket town start at just 6,500 baht per month. 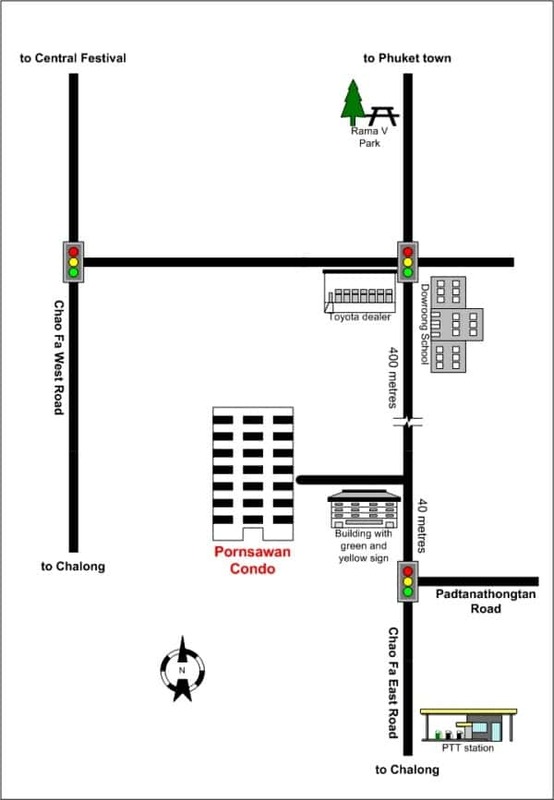 Scroll down for a couple of maps showing the location of the apartments for rent in Phuket Town, or click the “Phuket Town studio apartments” or “Phuket Town two-bedroom apartments” button at the top or bottom of the page for more information about our Phuket Town apartment rentals. Alternatively, contact us via email at [email protected], or call 080 532 1587 for details of these studio apartments and two-bedroom apartments for rent in Phuket Town.